As part of the implementation of the New Constitution, national and provincial elections have just taken place in two phases. Overall, it was held in an organized, peaceful and democratic way according to national and international observers. The Election Commission reported around 70 percent voter turnout which is very encouraging and credible by international standards. Results thus far indicate certain trends and preliminary analysis identifies a number of factors that influenced the opinions of the electorate. I have tried to put them in perspective here. Nepali electorate has decided they want an end to political instability that has impeded development as a result of no one party winning a majority to form a stable government for the full term in the past. The new trend clearly indicates at least a comfortable majority for the coalition of left alliance, if not, a two-third majority. The results clearly indicate the preference of the Nepali electorate for 2-3 major political parties with clear agenda.The dismal (no win) performance of fringe parties indicates they should either align with likeminded major parties or seize to exist. Nepal cannot afford too many frequent elections and repeat the mistakes of the past. People are interested in a stable government that will be formed for the next 5 years, so that it can focus and deliver economic and social development as promised by the political parties in their election manifestos. I feel a stable government while, a necessary preconditionis not sufficient for sustainable and inclusive development. The challenge for the new government is to improve capacity to develop, and deliver through effective, accountable and more transparent governance. Business as usual is doomed to fail in the present national, regional and global competitive and cooperative context. 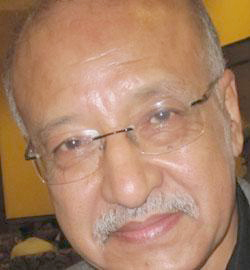 The negative campaign against the left alliance spearheaded by the democratic alliance led bythe Nepali Congress, which alleged, “the alliance of the left parties is just for seeking a majority government and, if they win, they will exercise authoritarian rule which is undemocratic, unaccountable and incompetent”, did not hold water with the electorate. I had indicated this in my pre-election article in the People’s Review, (Nov 23-29, 2017). This may have contributed to the overwhelming support for the left alliance, as they place national interest at the forefront (people have not forgotten the hardships faced during the 2015 economicembargo and the stand taken by UML leadership against this which ended the problem). The election results also reflect electoral response to the lack luster performance of the Nepali Congress whichhas led the government (as a majority or in a coalition) most of the time after the political change. People are fed up with political rhetoric. They want to witness real progress, experience new opportunities and prosperity. Many independent professionals, youths, women and the marginalized who do not belong to any political party supported the left alliancein the absence of an effective, reliable and consolidated alliance led by the Nepali Congress. People wanted to give an opportunity to the new alliance of the left and nationalist parties under UML leadership and vision. The Nepali Congress is perceived as the party that advocates for the status quo. In contrast, the left alliance is observed to be more progressive, and for change. More heavy weight candidates close to Congress leadership and the government have lost the election, while those close to the leadership of the left alliance ended up winning. There seems to be some coattail effect at work. Despite the less than expected performance of the Nepali Congress, the candidate’s personality, trustworthiness, past track record and credibility has paid off in some cases, as reflected by the candidates that won under the banner of Nepali Congress and other fringe parties. This is a clear indication that people want to see a change in the leadership with a preference for new and dynamic leaders across the political parties. This may pave the way for new generation leadership with vision and capability to deliver. The election results reflect the difference in performance between the left alliances which is more organization based while the democratic alliance (which actually did not materialize in time) especially the Nepali Congress is a cadre based party which is eroding over the years. NC’s muchless than expected performance is also the result of many factions within the partyand lack of leadership to consolidate and coordinate within and between the parties. The overwhelming support to the left and nationalist alliance reflect that people trust the alliance (especially UML leadership) in its ability to safeguard national interest better, and advance more balanced relations with Nepal’s neighbors and the international communitybased on mutual respect and reciprocal benefits. The progress made by our neighbors provides good examples to learn from. However, the people are yet to capture the spillover benefits of the economic growth of neighboring countries. National interest and democracy can, and must go hand in hand. It is very possible if right policies, practices, and institutions of governance are in place and people are integral part. As often said, democracy may mean different things to different countries at different times as long as it is guided by people’s aspirations. Nepali electorate is politically mature and understands the realities of the present day world.I believe, the Nepali electorate is far more aware, knowledgeable and capable of making the right decision ( morethan political leaders may think and take them for granted) as indicated by the local and national election results. People elected their representatives, not so much on party lines, but on individual trustworthiness, competence, good track record and affiliation with the community. Loud and clear messages are coming from the electorate across the nation. The Nepali people, are not going to buy false promises enshrined in the political manifestoes which has hithertonever been delivered. Candidates are better off and will succeed if they promise and fulfill programs that are doable and are close to the hearts of the people. However, the national and provincial elections (which people have experienced for the first time) have more overarching goals. National issues of importance such as independent foreign policy, security, sovereignty, independence are different than day to day socio-economic interests of the people and are important consideration. Time has come to build a development model of Nepal’s choice befitting its characteristics in which there are preferably two or three political parties with clear agendas for development. As a development professional with extensive national and international experiences, I am convinced Nepal enjoys comparative and competitive advantages in developing integrated water resources, agro-forestry, tourism and service sector (health and education) towards sustainable development. Political parties have to come to terms for a common minimum program for prosperity of all. With the right policy, institutions and people, it is possible to achieve these goals. The government canachieve rapid development as desired by the people if it makes a sincere effort to also reach out to professionals with national and international track record, beyond party cadres while discouraging nepotism. Nepal cannot afford to waste its precious resources (financial, human and otherwise) for politicking anymore. The government should now focus on achieving the sustainable development goals and graduate Nepal to developing country status as planned2 without any further delay.